Isabella and Gigi want to determine the daily changes in corticosterone hormone in the droppings. In temperate areas there is a peak just before dawn. What happens under constant light? So we all have to collect goose faeces in several shifts. Everybody helps. 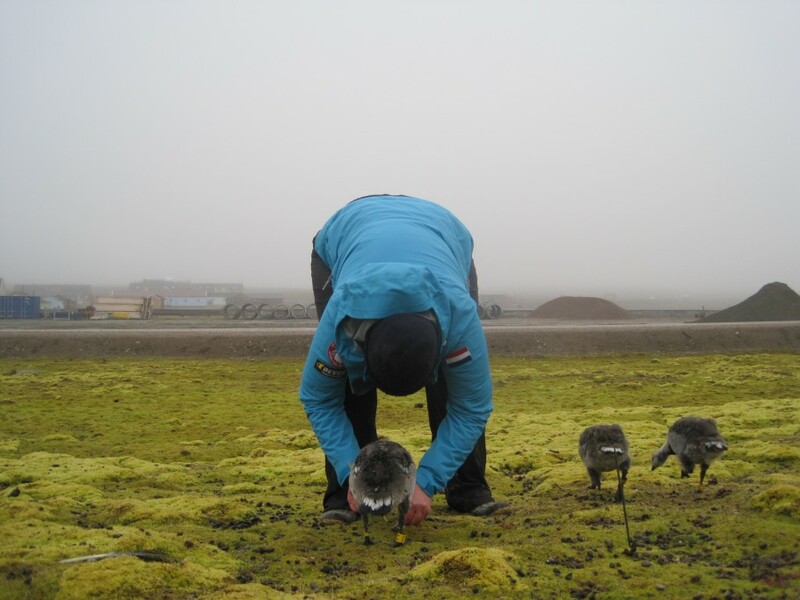 Five goslings are followed for 24 hours and every poop (in total more than 500 samples) is collected and stored. A long but rewarding day and a special card as thanks made by Gigi. It is good to work like a team.